Train systems in Australia often come as one product to serve a whole metropolitan area, which I think is best described as a suburban railway. This means that governments only have to maintain one rail-based product, saving resources, but this can cause problems as cities grow and public transport use grows faster than population. To make trains attractive to suburban passengers, railway lines often skimp on stop spacing in inner areas to get passengers from the suburbs to the CBD quicker. This does not serve inner city areas adequately, even of there is already a railway line in the area. For example, the Mandurah line does not make any stops between the city and Canning Bridge, despite passing through dense or significant areas like South Perth or Como. 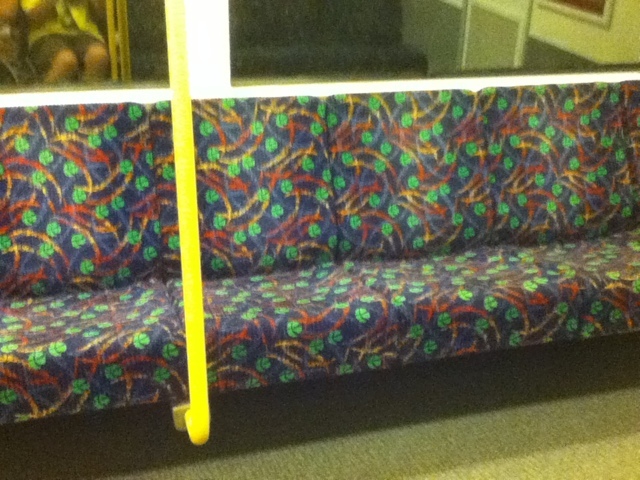 To deal with overcrowding capacity can be increased by measures that make use of existing rolling stock such as replacing seating with space for standees, such as longitudinal seating (along the sides rather than in pairs). However, this is unpopular with long distance commuters from suburban areas to the CBD who may be forced to stand for long periods of time. 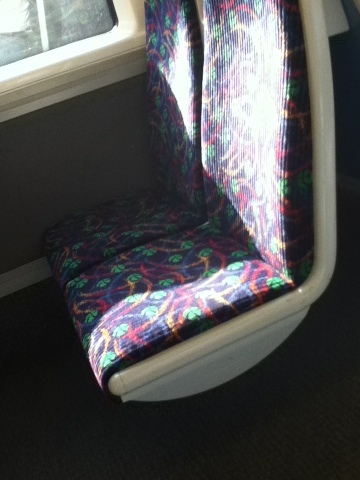 This seating is already common on A series trains, which do not serve far destinations except for the Armadale Line, but this modification is present at the ends of B-series trains, and is being rolled out on other parts of those sets, which are used on the 70 km Mandurah Line as well as the 30 km Joondalup Line, which is constantly extended to follow suburbia. The solution here is to split the suburban railway into two rail modes; the metro for inner areas, and the commuter railway for outer areas. Metros will have close stop spacing to serve inner suburbs thoroughly. Their use will be higher and service will be more frequent (TUAG) because inner areas are more conducive to public transport use, being built when cars were not available or not widely used. The trains may be driverless, or operated automatically by computer, to provide this service cheaply, and will feature full longitudinal seating, because average trip length will be shorter. On the other hand, commuter rail will have much wider stop spacing, for quick journeys from the outer suburbs to the city centre. Their frequency will be dictated by levels of use, which likely aren't as high as further in. 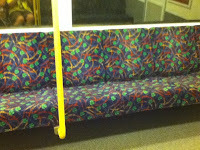 But, of course, users of commuter rail will usually get a comfy seat. 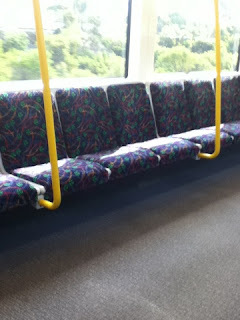 Perth is part-way there, with the two tiers operating on the Armadale corridor (commuter to Armadale, metro to Thornlie) Monday to Saturday 6am to 12am, and supplemented on Sundays by an all stops service to Armadale. 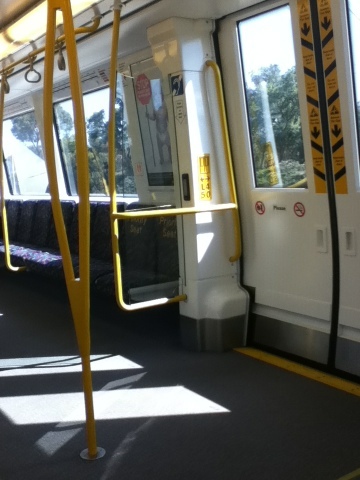 However, the rollingstock is still the same on both lines, the metro section (at least) should be grade separated, and of course the tiering should be full time, with the Thornlie line a bit more frequent. The Midland and Fremantle lines are probably short enough to be metros, despite the express running in the peak, but again, grade separation is needed, and frequency could be better. The Clarkson and Mandurah lines have inner tiers to Whitfords and Cockburn Central operating on the peak shoulder (formerly off-peak and the height of the peak before service cuts and fleet expansion respectively). This is completely grade separated but the stations are in freeway medians, and so are widely spaced and pedestrian/bike-unfriendly, the tier is part-time only and frequency needs a boost.